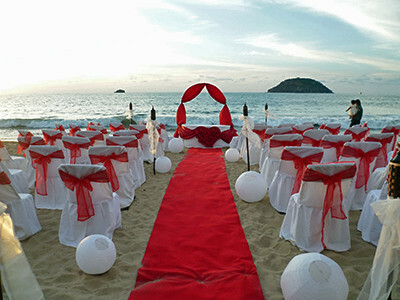 Looking for a special destination wedding in Mexico to have your traditional, civil or religious wedding and ceremony? Hotel Villa Corona del Mar can be your best option in Rincon de Guayabitos. Why Villa Corona del Mar? The answer is simple, besides having one of the most exclusive and largest villas on the coast of Nayarit outside of Puerto Vallarta, beach weddings are easy and beautiful followed by a warm reception inside the Villa. the smell of fresh roasted organic coffee on your private balcony. After a delicious breakfast served in our restaurant, take a leisurely walk on the beach enjoying the Bay of Jaltemba and the gentle surf of Rincon de Guayabitos. numerous discos and live venues to entertain you at night. Fall asleep to the sound of the waves…and have a restful evening…ready to start your next adventure! Villa Corona del Mar awaits you with a warm welcome, an excellent stay and cordial hospitality. Wait no further and enjoy the natural beauty of Rincon de Guayabitos as your wedding destination. After the wedding and an exciting reception in the Villa why not stay over and enjoy our hospitality by lodging in Rincon de Guayabitos? Capacity: The villa can accommodate 27 persons comfortably, without putting people in cots, sleeping bags or blow up mattresses. For additional persons sleeping in the Villa there will be an additional charge of $200 pesos per person, per day. 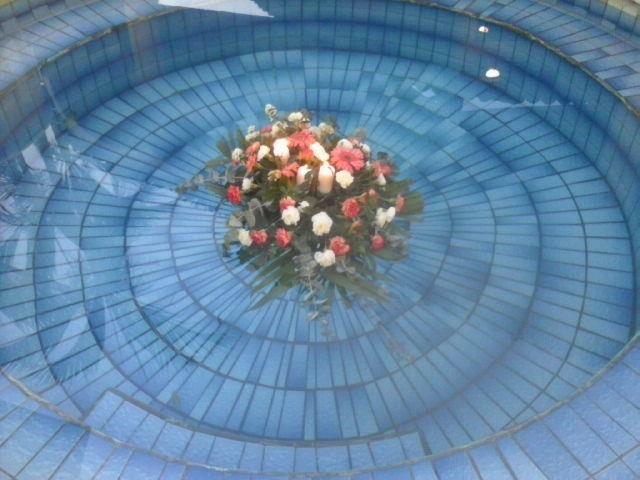 Events Capacity: The Villa can accommodate approximately 150 persons for events. Prices vary depending on type of service, amount of wedding coordination and number of guests. Allow us to give you a bid on services based on what your require. A signed event contract between the Hotel and wedding party indicating services rendered, prices and stipulations is necessary. Cost per night: $1,600 U.S. Dollars includes 19% Federal and Hospitality Tax as well as daily breakfast. 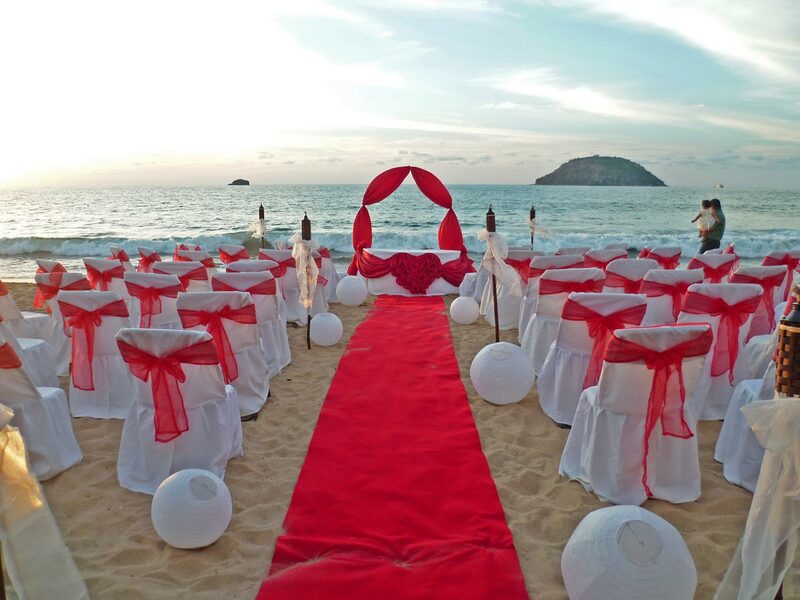 Use the beauty of the Villa and Rincon de Guayabitos and it’s beaches as the backdrop for your special day. We offer beach, pools, restaurant, patio area, extensive manicured garden areas as well as two Hospitality Suites. For more information and to get your free bid contact our Wedding Coordinator: Licenciada Aidee Martinez Medina at ventas@villacoronadelmar.com. $5000 peso damage deposit reimbursable paid upon making the reservation. Use of Villa and it’s installations: $1,000 U.S. Dollars per day.